"Randolph-Macon Academy takes good students and makes them great leaders." This is a statement made by an alumnus of Randolph-Macon Academy (R-MA), a college-prep school where students develop confidence, self-discipline, and a sense of independence. It is a co-ed school for grades 6-12 and postgraduates, where superb teachers make a difference in the life of each and every student, and knowledge, leadership, and character have been the core values since the school's founding in 1892. With students from approximately 22 states and ten countries each year, R-MA provides a diverse environment in which boarding students learn and grow. It is important to note that the focus of R-MA is not to get a student into the “best” college based on rankings, but to get each student into the college or university that is the best fit for him or her personally. Academics at R-MA are active. Students participate in annual science fairs, public speaking contests, Virginia Mathematics League contests, and the National Geographic Bee. They enjoy field trips to various museums and historical sites, and make use of the natural wonders of the local environment to study ecosystems and biology. Our integrated STEAM curriculum ensures students engage their curiosity and connect their learning across multiple disciplines. Two innovation labs on campus provide experiential learning environments with the latest technology, from 3D printers and a robot dog named Chip to an Arduino electronic prototyping platform and a flight simulator. Advanced students will find plenty of challenges at R-MA with honors, Advanced Placement, and college-level courses available. The Academy combines this first-class college-prep program with an Air Force Junior ROTC program for students in grades 9-12. This program teaches leadership, citizenship, and service, and provides the day-to-day structure by which the Upper School students live. For students who are interested in a career as a military officer, R-MA offers a service-academy/ROTC prep program called High Flight. There are ample leadership opportunities in other venues as well, from the athletic teams and student government to the Honor Council and honor societies. 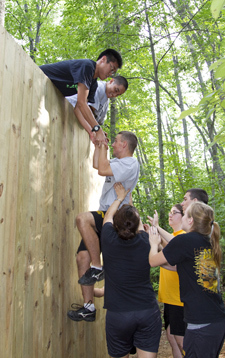 Students who want to step up to the challenge of leadership will excel at R-MA. The marching band performs in locations along the East Coast, from the St. Patrick's Day parades in New York City and/or Washington DC, to Disney World or Universal Studios in Florida, and in nearby Winchester, VA, for the Apple Blossom Festival. Students in R-MA's flight program can solo in a Cessna 172, and even earn their private pilot's certification. The Academy owns two planes, and the two flight instructors are faculty members at R-MA. A remote piloting program was added to the curriculum in 2017. 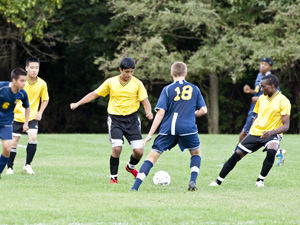 There are 18 varsity sports, including football, volleyball, wrestling, basketball, soccer, baseball, tennis, swimming, cross-country, track and field, softball, and golf. The arts program includes drama, graphic design, and studio art. The Air Force JROTC program offers color guard and drill team opportunities. There are ample opportunities for community service on the campus and in the local community. R-MA students typically complete over 8,000 hours of community service each year. Boys and girls are situated in separate dorms. At both the Middle School and Upper School levels, students live two per room. Each room features bunk beds, two desks, closet space, a window, internet access, and air conditioning. There is full-time supervision on each hallway, so that an adult is on duty in the dorm whenever students are present. 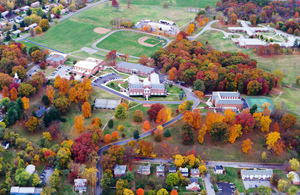 R-MA is situated on a 135-acre campus overlooking Front Royal, Virginia. Front Royal is a small town of approximately 15,000 people, and is located just off of Interstate 66, approximately one hour from Dulles International Airport and 70 miles west of Washington DC. It sits at the head of the Skyline Drive in the northern Shenandoah Valley, nestled among the Blue Ridge Mountains. Student may enjoy town leave on the weekends to shop the quaint stores downtown or patronize the small movie theater located on Main Street. A shuttle service runs from the campus into town, making stops at local grocery stores, as well as a shopping plaza just north of town. Additionally, weekend trips are available every week. These may include mall trips, amusement park trips, paintball tournaments, museums, skiing, and other activities. Randolph-Macon Academy is accredited by the Southern Association of Colleges and Schools and the Virginia Association of Independent Schools. 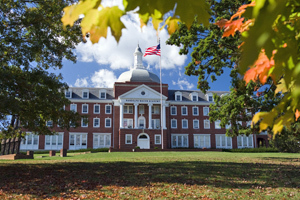 R-MA maintains membership in The Association of Boarding Schools (TABS), the Association of Military Colleges and Schools of the United States (AMCSUS), and is listed with the University Senate of the United Methodist Church. 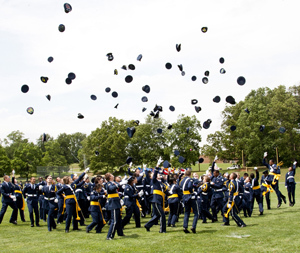 R-MA is one of only six schools in the United States to be designated as a Falcon Foundation School, a prep-school for the Air Force Academy. For more information about how R-MA can inspire The Power of Rise in your child, download an admission kit or e-mail the admission office.